Terrence Campbell was born in 1953 in Prince Rupert, British Columbia and is from the Wolf clan of the Tahltan Nation, with his family originating from Telegragh Creek, B.C. Terrence’s Tahltan name is “Eth-cath-kee” which means “teacher of the children”. Terrence began carving and painting at the age 15. At the age of 22, Terrence studied under master carvers Dempsey Bob and Dale Campbell (his sister). In July 1982, Terrence, along with Alvin Adkins and Dale Campbell, carved a thirty foot totem pole for the Museum of Northern British Columbia in Prince Rupert. 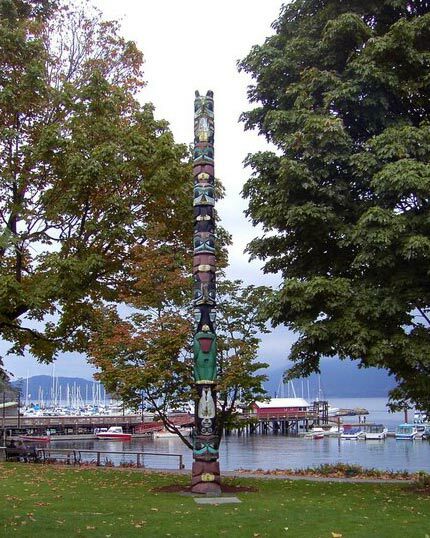 In May of 1991, Terrence and Dale carved another totem pole which was given to the people of Hong Kong, via then Canadian Prime Minister, Brian Mulroney, in celebration of the country’s Festival Canada ’91. In 2000, Terrence was invited to Phoenix, Arizona to participate in the Canadian Cultural Show. This trip sparked a strong interest in Southwest Jewellery and Terrence began to learn the art of tuffa casting under Navajo jeweller, Rick Charlie. In 2003, Terrence moved to Ganado, Arizona.